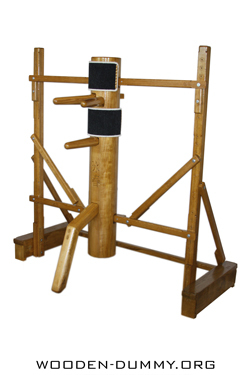 Wooden Dummy - a unique conception of training, which is recorded in the Shaolin temple. 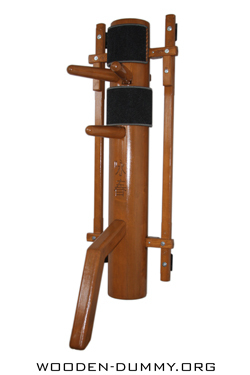 Despite the fact that a wooden Dummy is widely used in the system of Wing Chun, it is used in many schools of martial arts. Wooden Dummy - the art of self-expression and self-discovery. 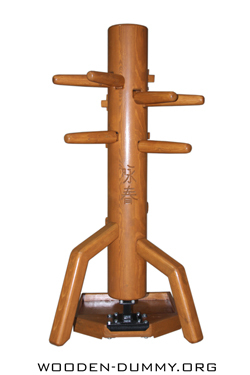 In the Shaolin Temple, the monks have demonstrated countless variations of impact on 108 wooden dummies. One of them was close to the one that is made today. 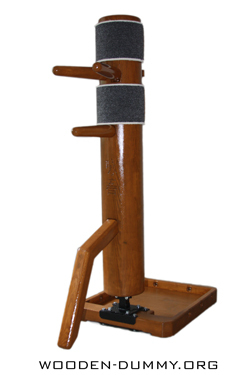 Wooden Dummy appeared long before the foundation of Wing Chun as an independent style. 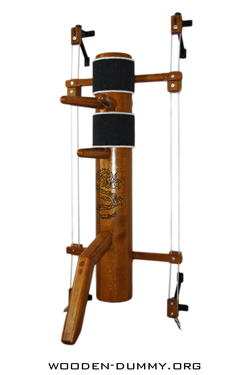 All martial arts have evolved since everyone makes their own additions, throwing us farther from the source, which was originally conceived in the Shaolin Temple. There are no historical records of the original techniques used by the monks, they simply do not exist! 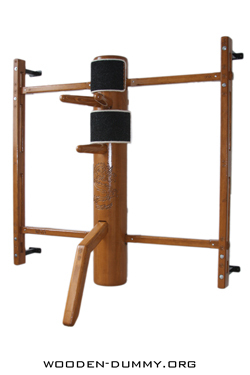 In Shaolin there have been countless movements. Today, each of us follows only parts of those movements. Each new movement is that endless stream of skill. 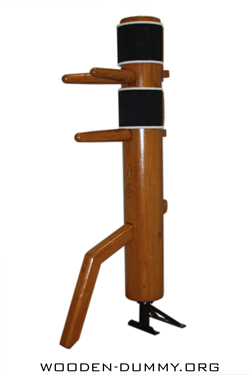 The essence of the wooden dummy is the discovery of one’s own knowledge. 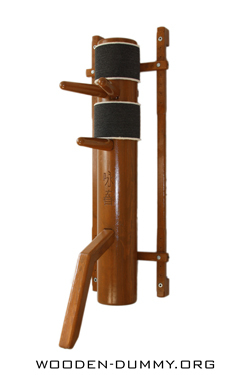 In the time of Shaolin there were 108 unique dummies of different designs. The creators of these dummies were ancient thinkers, not setting the limits of reason. Consciousness was expanded through spiritual practice, meditation, strength of the spirit, through a deep understanding of the meaning of one's essence, that was the nature of the sages of the ancient Orient. The process of creation and creativity was boundless. The wise men saw the true nature of things. At first the wooden dummy was conceived as a log embedded in the ground for filling of surfaces for impact. 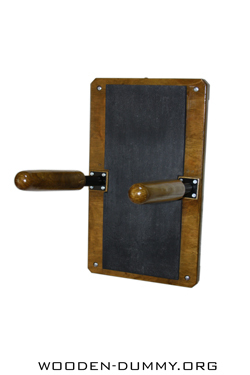 There were no restrictions for working with this device. 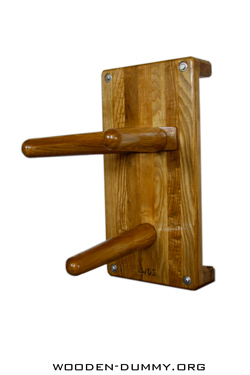 This can be compared with a punching bag hanging on chains, are there techniques of working with it? 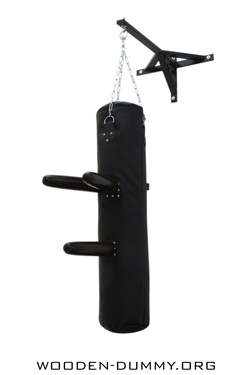 The punching bag can be used in any variation. 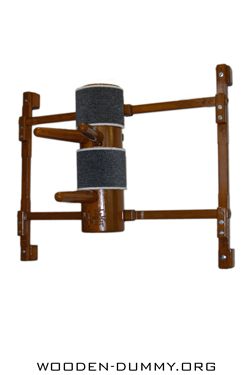 The same applies to the wooden dummy, only the spectrum of work is much higher, it is simply limitless. You should not limit yourself to certain a set of movements and techniques, you are able to create your own unique set. 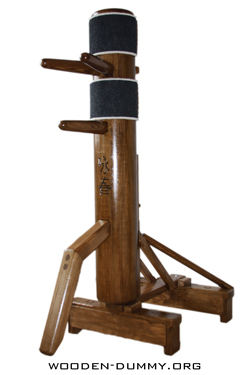 Today, the wooden dummy is becoming increasingly popular in the circles of martial arts. 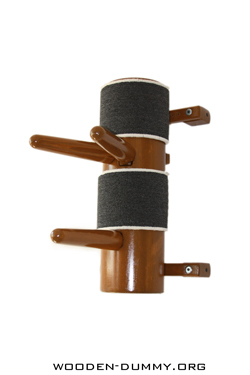 Each practitioner can use the dummy in his training for the development of agility, strength of impact, shock hardening of surfaces, etc. 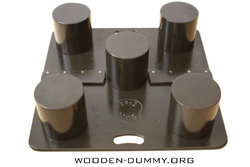 It should be remembered that the wooden dummy generates the whole concept of yin-yang - opposite interdependence. 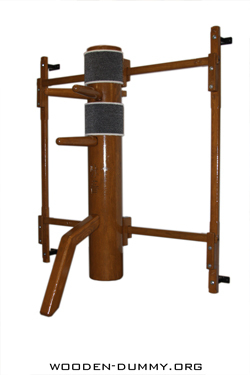 Using a wooden dummy and practicing proper breathing, develops inner strength and spiritual practice, it can be likened to meditation as having a lack of thought and fine concentration - focus of intention. 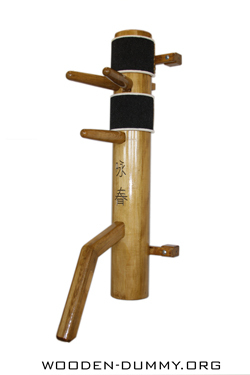 The main essence of martial arts - the formation of the equality of the mind, spirit and body. 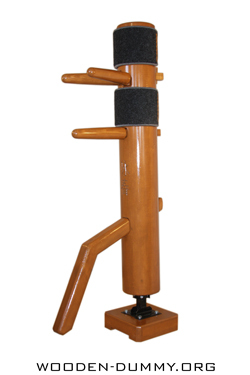 Wooden Dummy creates endless stream of practice, which is not bound by existing systems. At the beginning of the conception of WDS many techniques were analyzed, those demonstrated (Yip Man, William Cheung, Augustine Fong, David Patterson, Emin Boztepe, M.Wong, Gary Lam, Leon Ting) all essentially make one form, but all have different performance and different movements, various comments, various demonstrations, workshops and speeches. 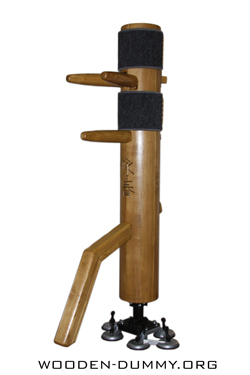 From this follows that Wing Chun is a combat system, not a style that is standardized. 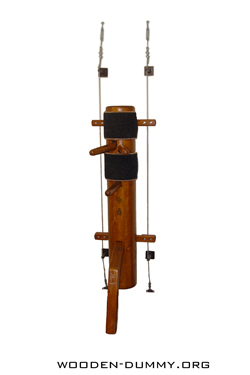 The wooden dummy is the beginning of reflex movements of yourself that you have trained to automatic. The main task of WDS is: the disclosure of the concept of the wooden dummy as an integral part of everyday life for any individual. 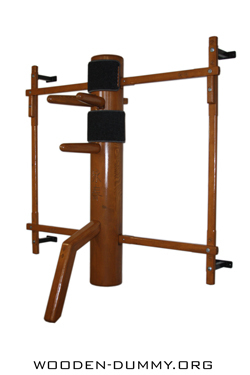 The site is based on the philosophy of Bruce Lee.